As a competent contractor often filling the role of Principal Contractor, we employ well trained and experienced operatives and Sub-Contractors that can deliver innovative, high quality and cost effective solutions to individual projects, large or small scale. Having a contractor with a good understanding of contamination and waste legislation can pay dividends on brownfield cut & fill projects. Soilfix can maximise the re-use of materials on site through careful management and application of remedial technologies. This can result in a significant reduction in the cost of off-site disposal and soil import. The cut and fill exercise itself can also become an important component of a remediation strategy. 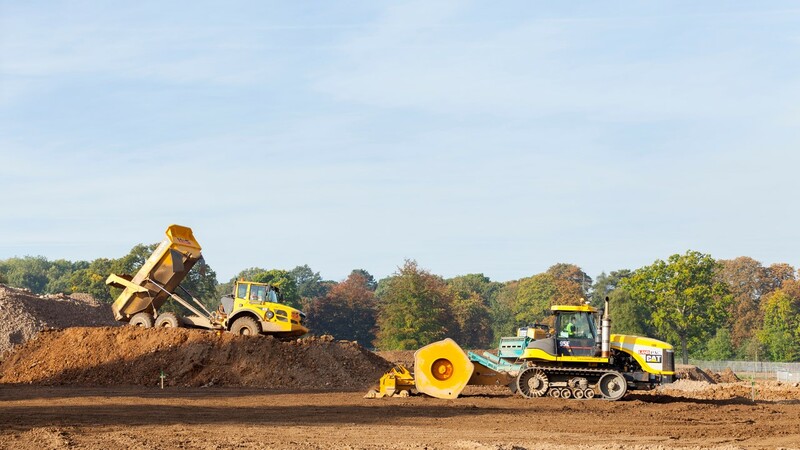 All Soilfix cut and fill projects are carried out fully in accordance with CL:AIRE Code of Practice, to ensure clients remain legally compliant when soils and recovered aggregates are re-used on-site. As well as immobilising contaminants, stabilisation can be tailored to meet the construction objectives of a project. Soilfix has significant experience in soil stabilisation to form a piling mat, capping layer or engineered fill below the development platform. Soilfix have the in-house capabilities to complete infrastructure works such as large drainage runs, service trenches, interceptors, attenuation tanks, etc. Where installed in contaminated strata, such works can have significant implications for the health & safety of site workers and elevated costs associated with management, environmental controls and waste disposal. Having all the necessary skills in-house, Soilfix is frequently able to reduce costs associated with such works, particularly when in conjunction with remediation. Soilfix can also assist other contractors on site to meet their health & safety and environmental obligations.